On October 2, 2005 the passenger vessel Ethan Allen capsized while touring Lake George with 47 passengers and one crewmember on board. After remaining inverted on the surface for a short period, the vessel subsequently sank. The master and 27 passengers survived. Twenty passengers died. According to numerous eyewitnesses on and near the vessel during the time of the accident, no obvious adverse weather, sea conditions, equipment failures or operator errors appeared to cause the capsize. Since the vessel operated only on Lake George, it was not required to be inspected by the U.S. Coast Guard. The National Transportation Safety Board selected JMS Naval Architects & Salvage Engineers to perform a detailed intact stability analysis on the design, configuration and passenger loading of the Ethan Allen to aid their investigation into the probable cause. 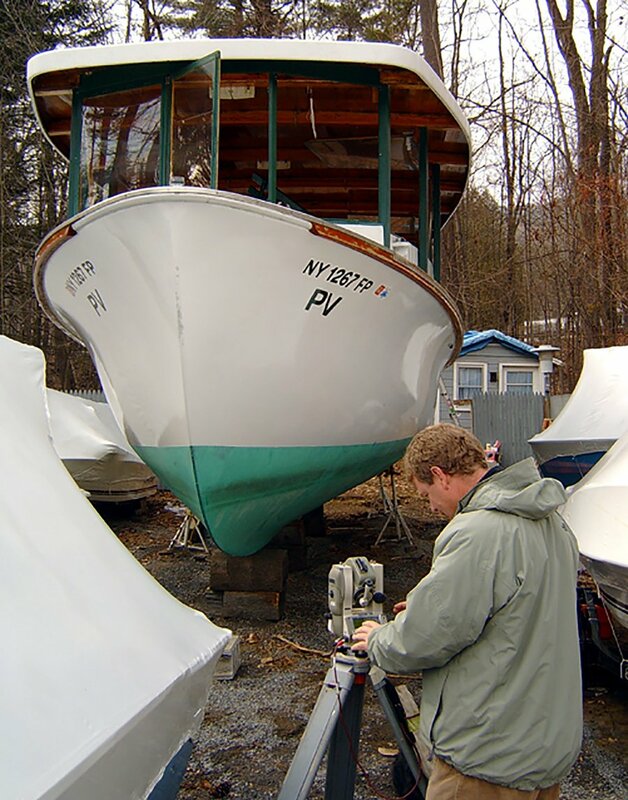 Ethan Allen is a Dyer 40 fiberglass mono-hull design built in 1964. 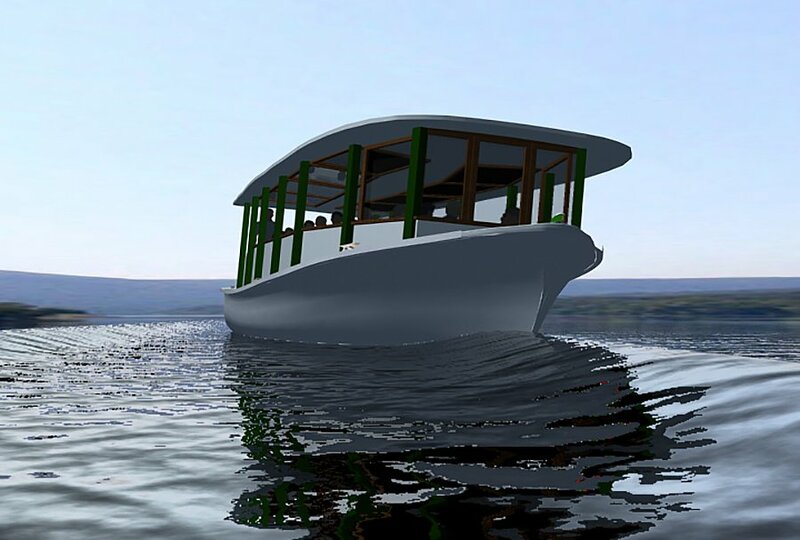 The design has been in production since 1960 in a variety of configurations including tour boats similar to the Ethan Allen. JMS validated available engineering drawings, lines plans and previous stability calculations performed on the vessel. Many of those plans and calculations were discovered to be inconsistent, inaccurate and therefore unreliable. 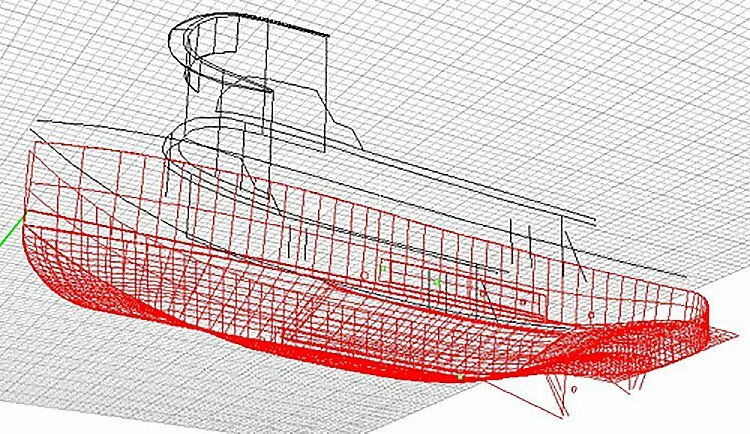 In order to develop an accurate hull form for the vessel, a detailed laser survey was completed to produce a three dimensional computer model of the hull to be used for the analysis. During her 41 years of operation, the Ethan Allen was modified several times with protective canopies over the passenger area without any reassessment of its stability. JMS calculated the maximum allowable passenger loading for the each of the configurations and determined that the vessel would have been permitted to carry only 14 passengers based on U.S. Coast Guard stability criteria. A dynamic analysis was also conducted to study the effects of a passing wave and shifting passenger weight. This involved a roll sensitivity study to provide insight into the vessel’s response characteristics under varying conditions. Using the results of JMS’ analysis, the NTSB determined that the probable cause of the capsizing was the vessel’s insufficient stability to resist the combined forces of a passing wave or waves, a sharp turn, and the resulting involuntary movement of passengers. The study underscored inadequacies in the existing stability standards for small passenger vessels and inconsistencies in how these vessels are regulated when they are not under U.S. Coast Guard jurisdiction. As a result of this and other recent small passenger vessel incidents, the Coast Guard is reassessing the potential consequences of revising stability regulations for all domestic passenger vessels to account for increased passenger and vessel weight. JMS also developed a computer animation recreating the accident event and to help explain the technical aspects of this accident. The animation is based on the technical results of the JMS report as well as survivor and eyewitness accounts.